By far the best video exposing these top secret mind control programs is the History Channel's excellent documentary Mind Control: America's Secret War. This disturbing, yet incredibly important video can be viewed free at the link below. For the betterment of our world, educate yourself on this most important matter by watching this masterfully done program. This powerful History Channel video documents how for decades, top secret government projects worked virtually non-stop to perfect means of controlling the human mind. Though for many years the government denied that these projects even existed, the details have long been preserved in the thousands of pages of now declassified government documents mentioned above, which were reluctantly released through the Freedom of Information Act. LSD and electroshock therapy in huge doses given to unsuspecting citizens are only a part of this unbelievable program. Mind Control blows the lid off years of chilling experiments, drawing on the declassified documents and interviews with some of the victims and respected experts in the field. Hear from John Marks, the author of In Search of the Manchurian Candidate, who originally broke the story of the CIA's abuses by unraveling the mysteries contained in the declassified documents. Learn how many of the most important records pertaining to the mind control experiments were destroyed by the director of the CIA in an attempt to prevent the details from ever being known. The projects involved brutal, at times lethal experiments on thousands of unsuspecting citizens in direct defiance of law, all ethical codes, and basic human rights. Interviews with top psychiatrists, lawyers, and victims send chills up the spine. U.S. intelligence agencies spent millions on these mind control projects with a goal of creating programmable human spies. A former head of the American Psychiatric Association, Dr. Ewen Cameron, is one of many highly respected doctors who erased the personalities and manipulated the minds of thousands of unsuspecting victims, while many in the profession simply turned a blind eye. Among the captivating interviews presented, you will hear from Dr. Cameron's patient Linda McDonald, whose past was completely erased by a brainwashing experiment. Linda describes how at age 25 she was placed on a psychiatric ward and subjected to horrific shock and drug treatments which completely erased her mind and brought her back to being the mental age of an infant. Linda, along with many other victims of these highly unethical programs eventually won a significant lawsuit against the U.S. government for the crimes committed against her by one of the most respected doctors of psychiatry in the world. The box below provides several ideas on what you can do to further educate yourself and to spread the word and make a difference. By being willing to look into these disturbing shadows, we can bring these secrets to light and transform our world into a better place for all of us. 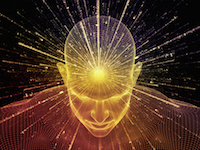 And for a powerful online lesson which gives an excellent overview not only of the secrets of mind control, but also how it can be used for the betterment of all humankind, click here. Educate yourself further by visiting our excellent Mind Control Information Center. Contact your media and political representatives to inform them of the vital information in this mind control video. Urge them to study and bring publicity to this important topic. Invite them to read this article and explore the links included. Learn more about the intriguing history and development of these controversial mind control programs in this excellent two-page summary. Footnotes and links to reliable sources are provided for verification purposes. Read powerful, reliable major media articles on mind control at this link. Spread the news on this mind control video to your friends and colleagues, and bookmark this article on key news websites using the "Share" icon on this page, so that we can fill the role at which the major media is sadly failing. Together, we can make a difference.